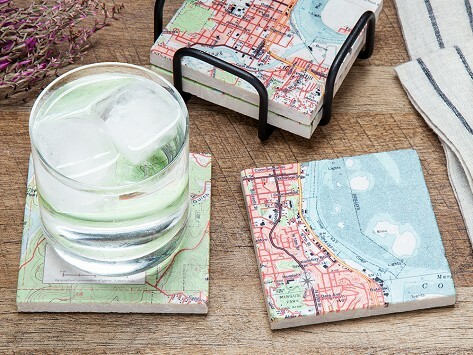 Custom map coasters crafted from marble keep the memory of a special place—a first home, stand-out vacation, or wedding—close to you. Turkish marble is tumbled to make it one-of-a-kind, and a location from anywhere in the United States and the nine mile-surrounding area are featured on the map. 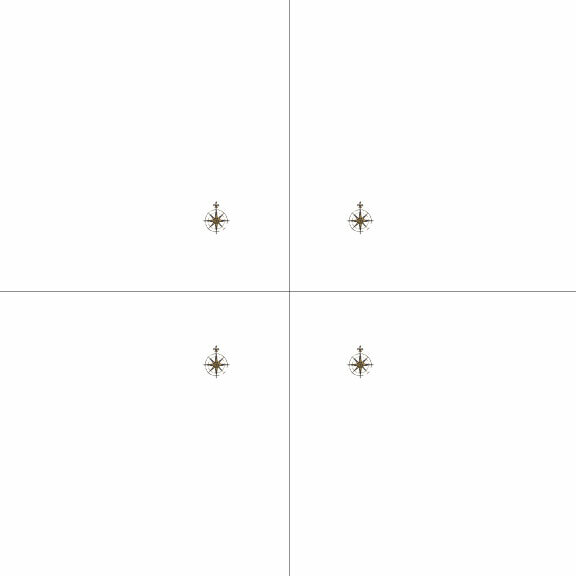 A compass rose will mark the exact spot and the map’s legend can be customized, too. Cast iron holder included. Made in Rhode Island. Customizable to any map in the U.S.
We like that the pieces are all functional as well as commemorative. The serving tray is crafted from Indian mango wood and the marble clock and coasters both come with a cast iron stand. Each of these is a lovely way to remember a special place, or can make for a meaningful personalized gift, too.